Monrovia Growers -- Distinctively Better® plants. Monrovia is committed to enhancing the beauty and value of the North American landscape – one garden at a time. Spring Meadow Nursery -- new, colorful flowering shrubs. Spring Meadow Nursery is the leading source for flowering shrub potted liners and starter plants. Dummen Orange Group -- Blossoming from around the world. DÜMMEN ORANGE represents a legacy of floricultural excellence more than a century in the making and a desire to unite the world through the language of flowers. Wholesale supplier of Bulbs, Perennials, Small Fruits & Vegetables, Tropicals, Waterplants, Holiday Gifts & Pottery. Netherland Bulb Co is family owned and operated. Fisher Farms -- Container grown shrubs; trees; dwarf conifers. Offering over 1,100 varieties of container grown shrubs; trees; dwarf conifers; perennials and edibles. Specializing in new introductions and nationally recognized brands. Weeks Rose Growers -- one of largest commercial rose growers in U.S.
Our hefty bare-root field-grown plants, Leaf N’ Bud® container plants, Tops In Pots™ dormant plantable pots and own-root rose liners are sold to nurseries & garden centers. 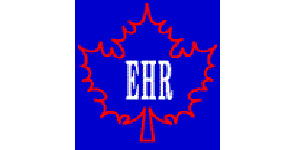 EHR serves as a consultant and broker to retail garden center growers, wholesale greenhouse growers, nurserymen, and landscapers. Bailey Nurseries -- The Bailey Difference. A fourth-generation family-owned nursery -- products distributed by more than 4,500 independent garden centers, landscapers, growers and re-wholesalers. 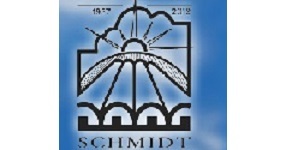 Schmidt Brothers -- Growers for the Future! 14+ acres of greenhouses ... we wholesale bedding plants, hanging baskets, patio planters, mums, fall pansies and poinsettias. Cloudfarm Seedsheet -- The Anywhere Garden! The Seedsheet is your perfect garden. Anyone can have a fully planted weed proof, organic, non-GMO garden in 30 seconds. Golden State Bulb Growers -- Callafornia Callas®. GSBG developers of the most popular colored callas today; ‘Crystal Blush’ and ‘Garnet Glow’, now introduces the first truly compact calla varieties the Callafornia® Series. Skagit Gardens -- Grower of top-quality annuals and perennials. Wholesale greenhouse company located in the agricultural Skagit Valley. Our mild maritime climate provides the ideal growing conditions for hardy perennials. Morel Diffusion SAS -- OUTstanding Cyclamen® ... varieties for outdoors. OUTstanding Cyclamen® is the label for our selection of the best outdoor varieties giving the guarantee of a long flowering period in the garden, on the balcony or terrace. Seminis -- Better with every generation. At Seminis®, we are constantly thinking of the next generation of seeds with outstanding growing potential, and our customers all over the world. 2Plant offers you a great balanced program of the newest plant introductions and the best old standards. Abbott-IPCO .... Selection – Solutions – Innovation. International source of caladium bulbs, imported Holland bulbs, perennials, and many other new and unique products. Ferns are on the threshold of a new lease of life! Ferns are perfect for today's lifestyles. Flamingo Holland -- Flower Bulbs, Grower Supplies. Flamingo Holland Inc. is wholesale importer and distributor of the world’s finest flower bulbs, packaging and supplies. Sunshine Horticulture -- Foliage for Clean Air. Sunshine Horticulture, LLC was founded in 2004 to provide quality liners and micros to the horticulture industry, both domestic and overseas. BFG Plant Connection -- division of BFG Supply Co.
BFG’s plant broker service offers access to an extraordinary network of growers located all over the country. Leo Berbee Bulb -- finest wholesale bulbs and perennials. The Leo Berbee Bulb Company is the wholesale division of the Berbee companies of Marysville, Ohio. We offer the finest bulbs and perennials. Morningstar Grower -- Unrooted Ipomea cuttings. We can also provide you with your Vinca vine unrooted cuttings. These cuttings are cut and shipped the same day. Check out our line of colourful innovative plants that is always on the forefront of the North American marketplace. 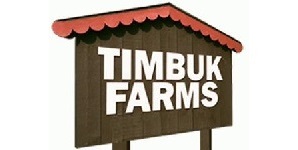 Timbuk Farms -- rooting stations and growers of flowering plants. Timbuk Farms’ operations include young plants, finished plants, seasonal Garden Mart retail outlets, Cut-Your-Own Christmas trees, and seasonal fundraising plant sale programs. Agri-Starts -- Wholesale Tissue Culture Liners. Agri-Starts is the world's leading and most reliable supplier of plant tissue culture starter plants and services. Heart of Florida Greenhouses -- Growing quality foliage for over 30 years. Heart of Florida continues to strive to be a premier producer of tropical interior plants in the industry. HilverdaKooij BV -- Plant Technology. Agrivolution (Nihon Advanced Agri) -- Urban Vertical Farming. CEA is an agricultural technology capable of producing locally-grown, pesticide-free fruits and vegetables year round often utilizing greenhouses and indoor vertical farming techniques. ANTHURA is the number one in the world in the field of breeding and propagation of anthurium and ranks among the top in the field of phalaenopsis. Our customers are growers, nurseries, and resellers who produce and market beautiful house and garden ferns. Briggs Nursery is recognized for its ability to propagate and grow a wide variety of both specialty and standard starter plants. Deroose Plants -- Innovation through breeding. Deroose Plants is a world leader in tissue culture propagation. We provide the best services for plant tissue culture initiation, proprietary propagation and growing & developing of new cultivars. ForemostCo -- Consistent Quality, Exceptional Service. ForemostCo, Inc. continues to redefine and globalize the international production of starter material. McHutchison -- Horticultural Distributor Since 1902. McHutchison makes horticultural "one stop shopping" a reality, providing geraniums, bulbs, foliage, perennials, plugs, poinsettias, pot crop, spring plants, nursery and supplies. Oglesby Plants International is well known in ornamental plant industry as leading supplier of high quality young plants for commercial growers around the world. Vaughan's Horticulture -- extensive line of horticultural products. We offer a complete range of annual & perennial cuttings, bedding plants, foliage, pre-finished plant products and supplies. Let Vaughan’s Horticulture work for you!